This therapeutic pillow is filled with special comfort globes which adjust to your head and neck to keep your head cool and comfortable. 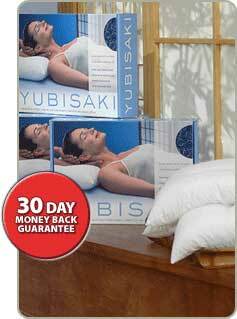 The amazing Yubisaki Pillow™ is designed for comfort, support, and perfect temperature control, promoting sleep filled nights and happier days. We guarantee that if you don’t sleep better from the very first night, if you don’t wake up with more energy and feeling great, just send it back for a full refund of your purchase price, no questions asked.